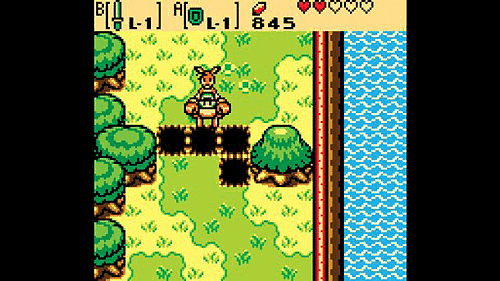 The Legend of Zelda: Oracle of Seasons takes place in the troubled land of Holodrum. After magically transporting to this new world, Link witnesses a power-hungry general named Onox summon a mighty storm and kidnap the Oracle of Seasons – a beautiful dancer named Din. Onox uses Din's power to hurl the forces of nature into chaos, so it's up to Link to once again restore peace to the land. The Legend of Zelda: Oracle of Seasons is full of classic Zelda challenges and gameplay. Link must travel around a vast overworld collecting clues and items, and explore challenging dungeons filled with fierce monsters and maddening puzzles. There are plenty of new challenges awaiting players as well. 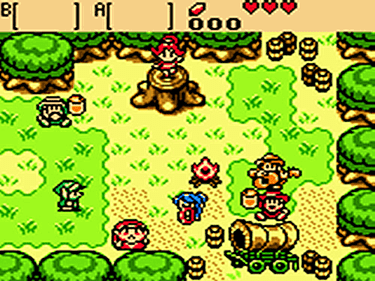 Using the Rod of Seasons, Link has the ability to change the seasons whenever he pleases. The landscape changes depending on the season, which provides the premise for many perplexing puzzles. If a river blocks your path in the summer, for example, you can summon the winter months and freeze the waterway to ensure a safe passage.Link also meets some powerful friends in Holodrum who help him in a variety of ways. A winged polar bear named Moosh can help Link attack enemies with a powerful ground-pounding blow, or Link can ride a friendly Dodongo named Dimitri across deep bodies of water. When Link hops in the pouch of a boxing kangaroo named Ricky, he can K.O. his enemies with a few quick jabs. 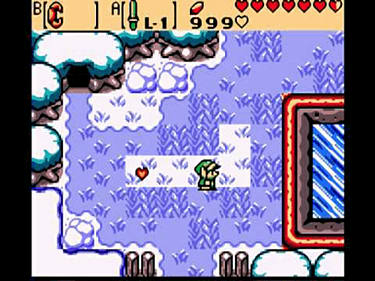 Link's escapade offers gamers great gameplay, an engrossing storyline and detailed graphics. Whether you're a long-time fan of The Legend of Zelda or a newcomer to the series, you're sure to spend many hugely rewarding hours helping Link restore order to Holodrum. Please Note: The Legend of Zelda: Oracle of Seasons for Nintendo 3DS is 76 Blocks (8 MB). Check that you have enough space on your SD Card to download and install this title, if you need more storage space click here for our range of fully compatible SD Cards.